With more than 40 years of experience in business litigation, Reginald S. Jackson, Jr., of counsel, is a valuable addition to Eastman & Smith’s roster of attorneys. Mr. Jackson’s practice includes complex business litigation, federal white collar criminal defense and professional liability. Additionally Mr. Jackson has arbitrated and mediated in excess of 130 matters involving breach of contract, business torts, lender liability, shareholder actions and UCC. He is board certified as a civil trial advocate by the National Board of Trial Advocacy, a distinction held by approximately 100 attorneys total in Ohio and Michigan, as well as certified by the American Arbitration Association to conduct arbitrations. Before entering private practice, Mr. Jackson was an assistant U.S. attorney for the Northern District of Ohio in its Toledo office. Prior to joining Eastman & Smith he was a founding member of Connelly, Jackson & Collier. Mr. Jackson has spoken and written for the Ohio State and Toledo Bar Associations, the Toledo chapter of the Ohio Society of Certified Public Accountants and the Ohio CLE Institute. Topics include attorney ethics and professionalism, tax fraud and discovery. Represented Big Three automobile manufacturer against franchisee complaining of denial of franchise. Representing multi-national manufacturer seeking monetary and injunctive relief for violations of Lanham Act. Represented major regional financial institution successfully recovering over $2 million proceeds from a check-kiting scheme. Successfully represented major regional financial institution against another financial institution seeking recovery for check-kiting proceeds. Represented major regional financial institution against claims of misrepresentation and breach of responsibilities as trustee of a family trust. Successfully represented alleged co-conspirator of scheme to bribe municipal and county officials purchasing supplies. Represented multi-national corporation seeking recovery from employee for multi-million dollar embezzlement scheme. Represented class of investors aggrieved by $20 million criminal and fraudulent misconduct. Achieved non-prosecution of married couple alleged to have failed to file federal income tax returns for 30 years. Achieved non-prosecution of married couple alleged to have failed to file federal income tax returns for 17 years. Represented individual charged with 40+ counts of mortgage fraud. Obtained a reversal setting aside a $22 million jury verdict on behalf of a defendant in the Sixth Circuit Court of Appeals, certiorari denied. Obtained $50 million settlement on behalf of aggrieved landowners against mega-farm processing plant. Mr. Jackson was a trustee of the Ohio State Bar Foundation (1998 – 2009) as well as the chair of several committees. From 1996 through 2009 he was a delegate representing Ohio in the House of Delegates of the American Bar Association. Chairing the OSBA Commission on Judicial Candidates, which is tasked with evaluating the credentials of candidates to the Ohio Supreme Court (2004). Chairing the selection committee for a U.S. magistrate judge in the Northern District of Ohio court (2010). Sitting on the U.S. District Court, Northern District of Ohio Advisory Group (current). As yet another way to give back to the profession, Mr. Jackson is president (2014 – present) of the Ohio Lawyers Assistance Program, a non-profit focused on obtaining treatment for members of the legal community with substance abuse issues and mental health problems. Mr. Jackson also serves the community at large, beginning with service in the U.S. Army and Army Reserves where he was honorably discharged as a captain in 1978. He is a member of the Boys and Girls Clubs of Toledo (supporting trustee, 1980 – present), Maumee, Ohio, Civil Service Commission, Rotary Club of Toledo and the Toledo Rotary Foundation. Many organizations have honored Mr. Jackson for his work as an attorney, in the community and in the legal profession. Named as a life fellow (American, Ohio State and Toledo Bar Foundations). Received the OSBA’s Ohio Bar Medal for service to the legal profession, community and humanity with exemplary service (2010). Honored with the OSBF’s Ritter Award for accomplishments in attaining and promoting professionalism, integrity and ethics in practicing law (2013). Given the Toledo Junior Bar Association’s Order of the Heel for mentoring young attorneys (2010). Recognized with the Distinguished Toledo Lawyer Award from University of Toledo College of Law in conjunction with the Toledo Bar Association for his efforts in the legal community (2012). Granted the Distinguished Alumnus Award from Maumee, Ohio, High School (2012). Mr. Jackson has been named as a Best Lawyer in America® for commercial litigation and white collar criminal defense since 2007. 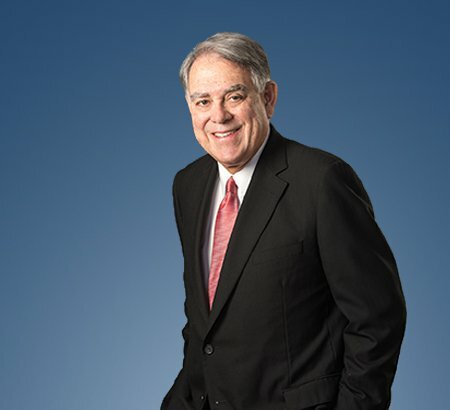 Best Lawyers® also awarded him Toledo Lawyer of the Year in 2011, 2016 and 2018 for the practice area of criminal defense: white-collar litigation. Mr. Jackson is a member of Sigma Chi Fraternity, and was awarded the Significant Sig in 2011. He is AV rated by Martindale Hubbell and in the Who’s Who in America as well as Who’s Who in American Law.